FND Action is patient-led organisation for functional neurological disorders and dissociative (non-epileptic) attacks focusing on the UK. 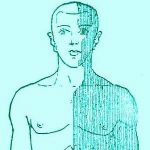 neurosymptoms.org provides a range of information on a wide variety of functional and dissociative neurological disorders. It has been adapted to 12 different languages by health professionals.